To add names from your devices Contacts, tap on the ‘+’ at the top right of the screen showing the names (or blank if you haven’t added any names yet), and the tap the Contacts icon. 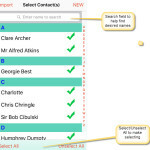 Many people have already organised their Contacts into Groups. If so, then you can opt to select names from one of these groups. 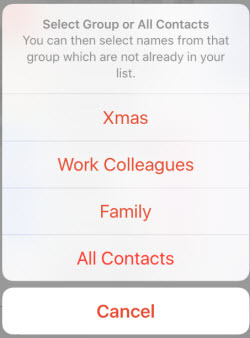 You might already have a Christmas Group, so you can import those names. 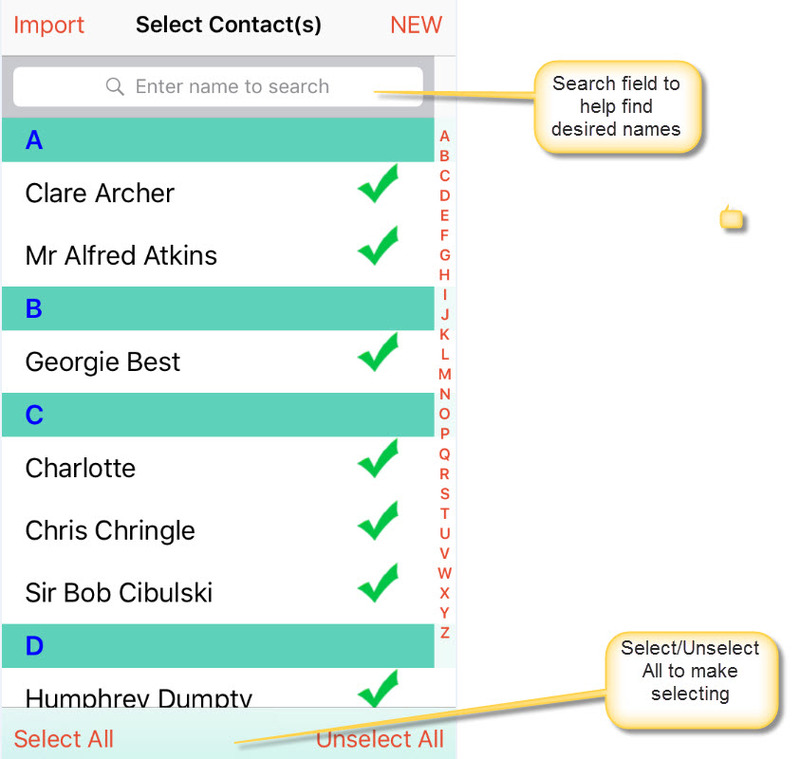 This makes it much easier than selecting All Contacts and then scrolling or searching through all of the Contacts, looking for the names you want. So either tap on a Group (if available) or tap All Contacts. 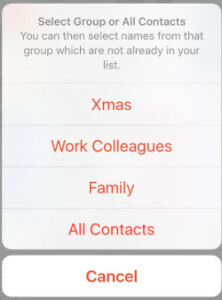 The next screen will display all of the names in that group (or All Contacts) apart from the ones that have already been added to your list (if any). To add people to your list, just tap one or more names to “tick” them as shown, and press the Import button. The Select and Unselect buttons at the bottom can help select the desired names. Also, there is a Search bar at the top, again to help locate and insert the desired names.